Getting back from a vacation can be the WORST! Am I right? Just think with me. 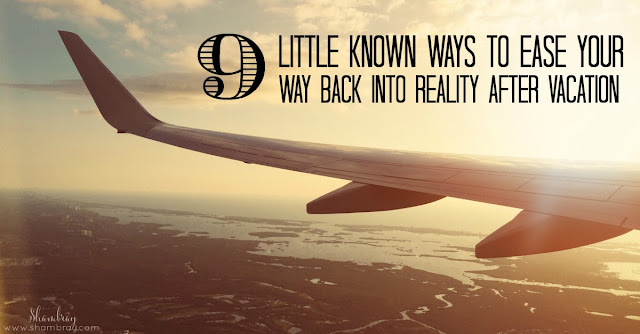 You are on an amazing trip either with friends, your husband, or even your family. Routines are out the window and life is laid back and carefree. No one has to rush to this activity or that activity. No one has to go into work or stress about deadlines. It is paradise. THEN (dun dun dun) you go home. There is laundry to be done. There are deadlines to be met. Work is basically knocking on your door and it is utter chaos. Am I alone? Or are you with me? I hate it and I have been thinking that there has to be a different way. There has to be things that make it easier. So I researched tips and tricks and let me tell you everyone has an opinion on what they think is the best way. I was overloaded. So I narrowed down the MASSIVE list into a few ideas for you and hopefully one or a few work for you as well. Schedule time with your friends your first week back. - This is genius. A girls night out to look forward to would soften the blow. Put clean sheets on the bed BEFORE you go on vacation, have fresh towels ready, and get rid of clutter. - Who else HATES coming home to a messy house. This is one thing that I personally have to do if I don't want to be a complete grouch when I come home from vacation. Make a pre-made freezer meal beforehand. - Alright. This is fantastic. We love Creamy Italian Chicken in the crock pot. This freezes so nicely. So I will be doing this when we go on vacation next. Schedule a massage when you get back. - I LOVE this idea. I will make sure to do this every trip here on out. What better way to ease your way back into reality than to pamper yourself a bit. Put all dirty clothes in a separate bag in your suitcase. - I do this every trip I go on. It makes starting the wash so much easier. You just throw the dirty clothes in the hamper and you are done. No sorting. Make a drink or dish that is inspired by your trip. 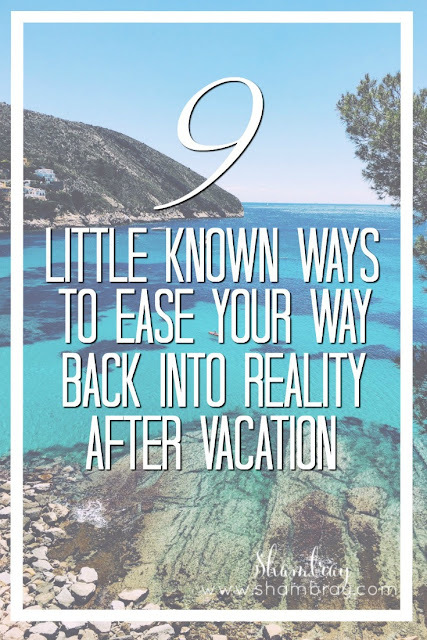 - I love this idea because you are bringing the vacation back with you. Also, remember that it is okay to do something like this and ease your way in. You don't have to do all the chores at once. Slow and steady. Make sure to do laundry before you leave. - If you do this then the only dirty laundry you have is the laundry that got dirty while you are away. NO ONE wants to come home to endless piles of laundry. If you have a friend that will do this one then great. If not then be a great friend or family member and share the ease of coming back from vacation. 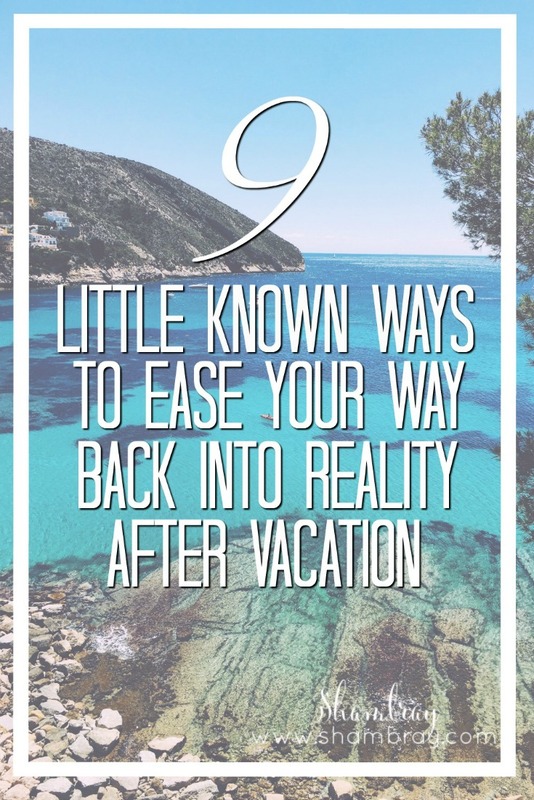 Who knows, maybe they will reciprocate when you get back from your next vacation. - Fill their food with the essentials that would have gone bad if they were gone long. I'm talking milk, eggs, and bread. Maybe even throw in their favorite treat! Last way and this one is my favorite! 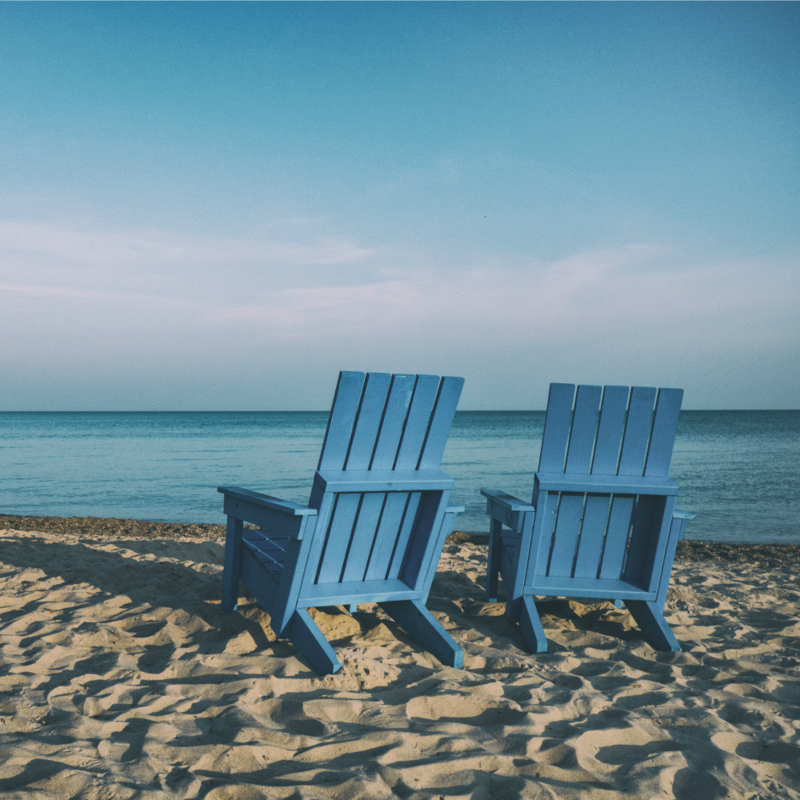 Make sure your vacation ends on a Friday so that you have the whole weekend to catch up on sleep and chores before having to head back to work. Do any of those sound like they will work for you? Do you currently do any of these things? Or do you have any ideas that aren't listed that work wonders for you? Such good tips! The last one especially. I have a terrible habit of getting back to town late on Sunday night. Great ideas! I know that if I don't leave a clean house, coming home to a dirty house is the WORST!